Hands down the best People, Location, Rooms, Dinning, Spa and Views in Chicago. Central to great dinning and shopping. Beautiful building, with large rooms, and great amenities. New building, good size room, perfect views, good check in/out service, luggage service, huge TV. Would recommend. Saw what you will about the President...guys makes an amazing hotel. Best Hotel in Chicago. Great location, staff and amenities. Best room experience in a 5 star Hotel. Parking is not free ($56), but otherwise very comfortable stay. Best hotel experience I have ever had. Met the manager Liz, and much of her staff, who were most accomodating. hands down one of the best hotels in USA, staff, view, location..
All around excellent hotel. Terrific location. The health club is spectacular. And an indoor lap pool. 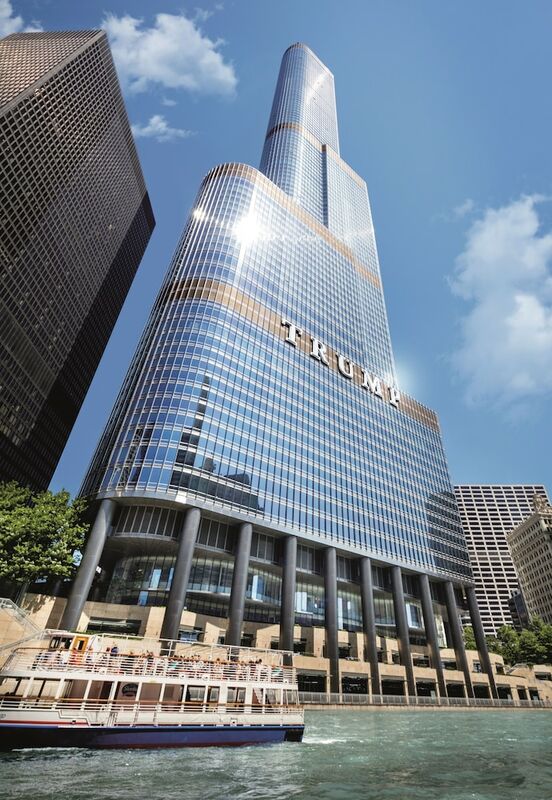 Located in River North, Trump International Hotel & Tower Chicago is adjacent to State Street and within a 5-minute walk of other popular sights like Chicago Riverwalk. This 5-star hotel has 339 guestrooms and offers a full-service spa, an indoor pool, and free in-room WiFi. Enjoy a bite to eat at the hotel's restaurant, or relax with a drink at the bar/lounge. Order from 24-hour room service to satisfy your hunger without leaving your room. For your convenience, a cooked-to-order breakfast is served for a fee each morning from 6:30 AM to 11 AM. Guests can stay connected with free WiFi and wired Internet. Pillowtop beds sport premium bedding and pillow menus, and the bathroom offers a soaking tub, a hair dryer, and designer toiletries. Other standard amenities include a minibar, an espresso maker, and free newspapers. Guests of Trump International Hotel & Tower Chicago enjoy a full-service spa, an indoor pool, and a fitness center. Parking is available for USD 56.00 per night (USD 73.00 per night for valet parking), and there's also limo/town car service. The front desk has multilingual staff on hand 24/7 to help with securing valuables, dry cleaning/laundry, and concierge services. Other amenities at this luxury hotel include a sauna, free WiFi in public areas, and conference space. Thank you for your feedback. We take pride to better our service from our guests experience. Terrace 16 - Restaurant and bar specializing in American cuisine. Open daily for breakfast, brunch, lunch, and dinner. Kid's menu available. Recreation features at Trump International Hotel & Tower Chicago include an indoor pool, a sauna, and a fitness center.